HomeBlogWater concernsCelebrate World Water Day With Clean Water! Water is one of the most essential things in this world. We use it to cook, clean, grow plants, and, of course, our bodies cannot function without it. Despite the necessity of water, many people throughout the world do not have access to clean drinking water. In fact, it is estimated that over 1.1 billion people do not have access to clean drinking water, and 2.6 billion people do not have access to basic sanitation, such as running water and toilets. As a result. 1.8 million people die from lack of clean water and basic sanitation every year. Over 90 percent of these deaths are children under 5. To highlight the need for clean water, the UN has an international observance day called World Water Day. 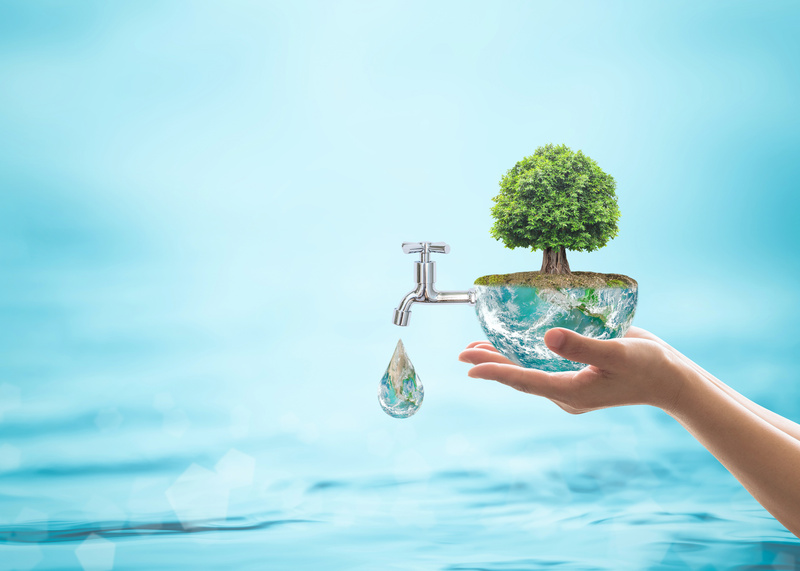 In December of 1992, during the United Nations Conference on Environment and Development, the United Nations General Assembly adopted March 22 as World Water Day. The goal of World Water Day is to raise worldwide awareness of water-related issues on an international level. The World Water Day website highlights volunteer opportunities people can take part in to help create a world with access to clean water for everyone. The website also has a lot of educational material. The UN wants people to learn more about water scarcity, water supply, water pollution, and lack of proper sanitation around the world. They desire to help spur action around the world and to help all humans have the basic right to proper drinking water and basic sanitation. What is the 2019 World Water Day theme? Every year, a different theme is chosen for World Water Day. In 2018, Nature for Water was the theme. The ways in which nature can be utilized to overcome water obstacles was explored. This year, in 2019, the theme is Leaving No One Behind. Many marginalized groups, such as the Dalits in India, refugees, women, children, disabled people, and indigenous people are discriminated against or overlooked as they seek to get clean water. Ready to improve your water quality? To have better water quality in your own home, you may need a water softener. Hard water causes build up in your pipes that can negatively affect your home and family over time. To find out more about getting a water softener in Round Rock, call us today at (512) 388-0022.